Big data analytics is now moving beyond the realm of intellectual curiosity and propensity to make tangible and trendsetting impacts on business operations, offerings, and outlooks. It is no longer hype or a buzzword and is all set to become a core requirement for every sort of business enterprises to be relevant and rightful to their stakeholders and end users. Big data analytics are a generic and horizontal idea to be smartly leveraged across all kinds of business domains and hence are poised to become a crucial trendsetter and game changer for worldwide businesses. It is all about meticulously taking perishable data and cognitively converting them into pertinent insights. Real-time analytics is another hot requirement today and everyone is working overtime on fulfilling this critical need. Therefore the era of analytics beckons and dawns on us as data analytics is all set to deliver its promise: the greater insights to the insight-parched businesses to maximize their productivity and performance. Incorporating analytics into business applications is now essential to earn and maintain a competitive edge in the knowledge-driven competitive hypermarket. When analytics gets implemented correctly, it voluntarily and vivaciously helps business leaders quickly identify new opportunities and possibilities, respond to changing situations faster, enhance the delivery system substantially, and ultimately improve both tactical and strategic advantages. Market analysts and researchers vividly illustrate the point that any organization with a pragmatic analytics strategy is to gain much in steering the company in the right direction. Once upon a time, as an afterthought, applications are superficially enabled with the analytical capability, but nowadays with the maturity of the analytics space, analytics occupy the core part and role to play. That is, all IT and business services and applications get seamlessly and spontaneously integrated with the analytics module to provide an exemplary behavior to their users. 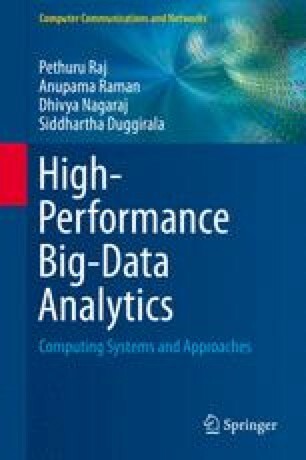 In this chapter, we have described high-performance integrated systems and the file system/database/data warehouse systems towards the goal of expounding the need for next-generation optimized and organized IT for simplifying and streamlining the big and fast data analytics.